At the exact moment I became a parent, I had a new appreciation for the expression “It takes a village.” After giving birth, I suddenly wanted my Mom to move in with us. And even if I don’t know you, I would have loved your Mom to move in too. Permanently. No questions asked. The new role was overwhelming. I missed babysitting when I could return the precious screaming bundle to her Mama because now I was the Mom and I was supposed to know all the things. This American Greetings’ video brilliantly depicts the depths of this role. They interview candidates to fill a fictitious position. And the candidates are appalled. One by one they begin refusing the job offer. Who would ever work without bathroom breaks, vacation time or even a salary? Where all hats are required, regardless of one’s strengths or limitations. Parenting is not meant to be journeyed alone. We need a team of safe people who have our family’s best interest at heart. While this certainly includes relatives, there are so many others who can play critical roles in our children’s lives. As my children grow, my definition of mothering broadens and I am deeply grateful for everyone who loves them in small and profound ways. This holiday, let’s show unexpected appreciation to those who help us parent. 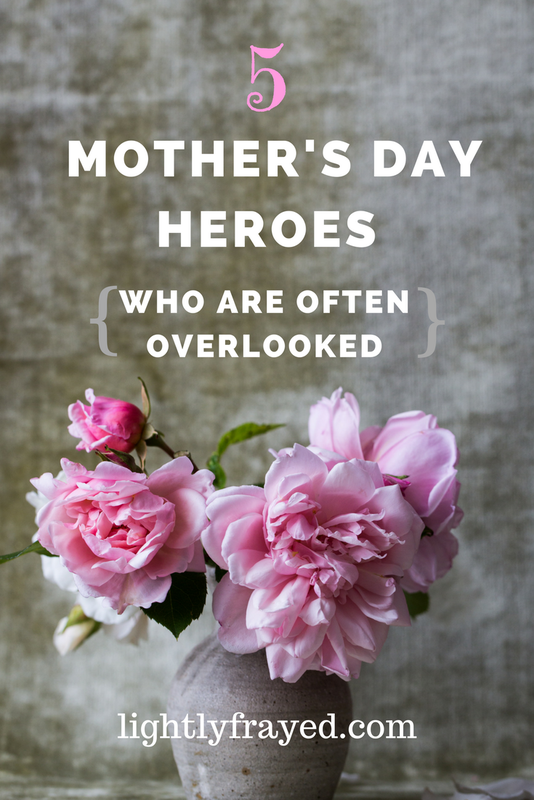 These are the unspoken Mother’s Day heroes. Armed with only a neon pinny and a stop sign, crossing guards ward off danger and shepherd us quickly to safety. Three times every day, for not nearly enough money, they risk their lives protecting our children. Sounds like motherhood to me (minus the neon). As a high school teacher, I have always revered Kindergarten teachers. Even more so now that I’m a Mom. More than 20 children all day, every day? With big emotions and drippy noses and adorable ideas and questions looped on repeat? Teachers are mothering superheroes. My boys have been with the same coach for many years. He has taken them from timid to confident. Rookies to professionals (not literally). His belief in them transcends their own frustrations and limitations. And he has instilled an enduring love for the sport. Encouragement from the dugout? That is definitely motherhood. Teenagers are consistently viewed suspiciously when shopping. So when an older cashier took the time to look my son in the eye, admire his cool thrift finds and commend his ability to make a dollar stretch…this mom was very grateful. Anyone who shows kindness to a misjudged sector deserves to be thanked today. 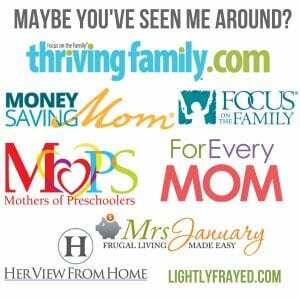 Reflect on who supports your child. A principal who believes the best in spite of the speed bumps? A friend who lovingly redirects your little one? 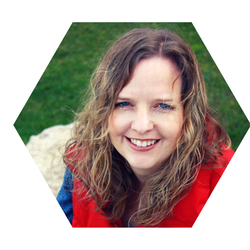 A colleague who inspires your teen to set goals and stick to them? 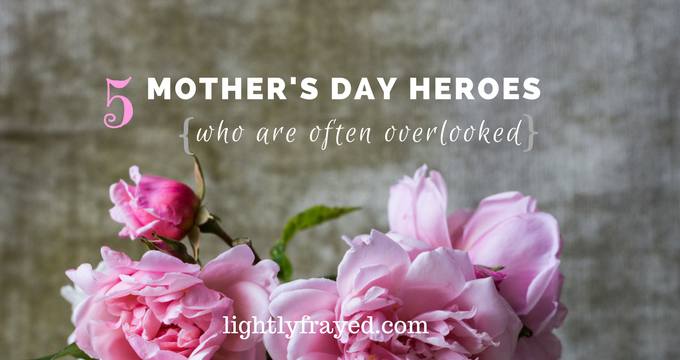 Shower the gratitude for these mothering acts. Who can you honour from your village? They may be surprised to learn they are an important part of your team. And in the true spirit of motherhood, consider who you might welcome into your circle. Speak life to a discouraged friend. High five a child you catch in an act of kindness. Genuinely admire a teenager’s talents. Every holiday, my friend prepares a banqueting feast for her son and his college friends who are far from home. There are no expectations – just come as you are and be fed. She uses her heart for hospitality to make these boys feel cared for. 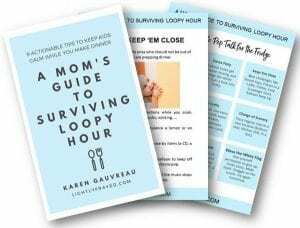 Mothering ripples are profoundly powerful. Yes! It definitely takes a village! Great post. Happy Mother’s Day to you as well! So very true my friend! I’m thankful for those who have loved and continue to love (my now grown kids) throughout the years! Absolutely Laura! And now your kids are part of “parenting” many children and teens in their own circles. Grateful for all of you. Amen Karen, “its takes a village to raise a child..” is a saying I often heard when I was growing up from my mom. I finally understood it when we had our children. So very Thankful to our older kids that often help us out with our little girl.. this past week end we were away and each one of our three older kids had her for an over night. I LOVE this video! Thank you for posting it. 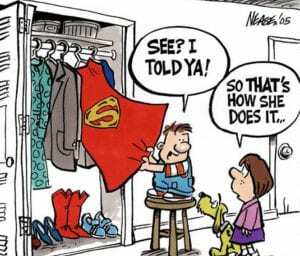 Mothers are Super heroes! Thanks Carrie. Happy Mother’s Day to you too! Happy Mother’s Day to you…and you…and you! I never knew how much I admired preschool teachers until I went into my daughter’s class and saw her teacher taking care of 18 tiny children at once, still with a smile on her face. If that isn’t mothering, I don’t know what is! You are so right! Teaching wee ones is a high calling!